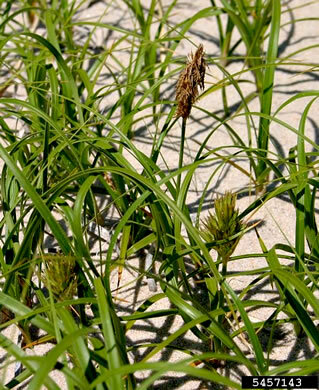 A coarse-looking sedge, leaves with fine teeth that your fingers can feel, per Invasive Plants, Guide to Identification, Impacts and Control. 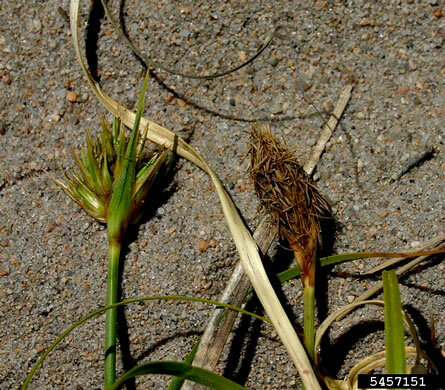 Male & female flowers on separate plants/Fruits enclosed in a paperlike sac, per Invasive Plants, Guide to Identification, Impacts and Control. 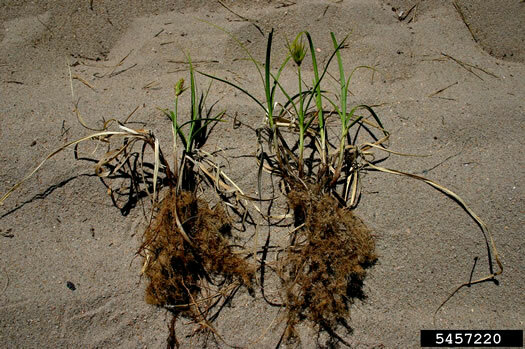 Sand burial seems to stimulate growth of rhizomes, per Invasive Plants, Guide to Identification, Impacts and Control.